T’is the season to be jolly, fa la la la la la la la la! I love Christmas so much because there are so many occasions to give to one another. This year will be extra special for me because it is my first baby’s first Christmas. Is that a tongue twister? I want to give him everything that he needs and some things that I know he’ll just enjoy, but also not spend way too much because I know our family will also give him lots of clothes and toys. So I made a list of things that I think would be great for a 8 month old baby boy! These are all going to be connected and linked to my Amazon Shop for you to check out. A lot of these gifts and items are for learning and developmental purposes because clothes go in and out of size. I try not to invest so much in his clothes, although I did indulge in a huge Gymboree haul! They had great sales and you can also checkout my Instagram post for some heavy discounts for your Gymboree order. What will be on my shopping list for my baby? Here is what I plan on getting him and what I have already purchased for him this Christmas. 1. Mav is Teething like Crazy! I’m sure all you mamas know what it’s like to have drool all over you and all over their faces. This can be a tough time for them so I found an all-natural gel that isn’t harmful to your baby. I would also pair it with some teething toys. You can find the Nuby teething set at Wal-Mart or CVS pharmacy or the direct link where I got it from amazon. I also purchased a teething key chain because Mav doesn’t like “teething toys” he likes things that are a little harder and dense to chew on that are flat, especially chains that make noise so this was perfect. These are both $5.99 each, perfect stocking stuffers! My favorite things that are interactive for him that I think he would also like is a toy car but not the small ones because that is a choking hazard. So I stumbled upon a reasonably priced one. Most of the of the other car toys are pretty up there in pricing, around $50 or more. The toy car is essentially a mini size sitting car that has different colors and shapes to interact with inside and outside of the “car”. This is the one that I ordered for him which doubles as a tent or playhouse when he gets older. It is also waterproof so you can take it out to parks and what not if you wish! 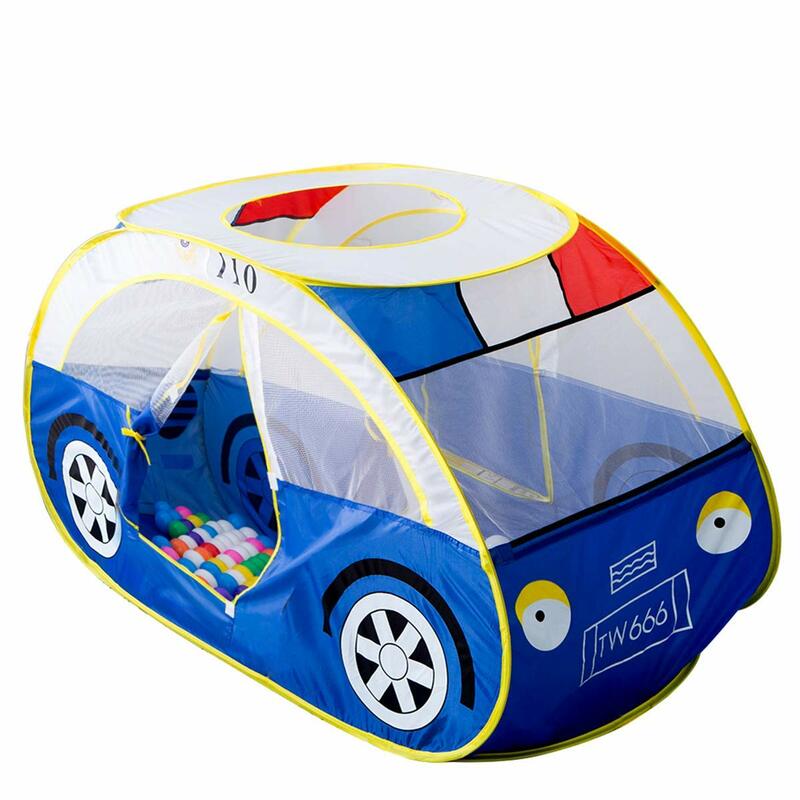 This playhouse car runs at $30. I usually shop at TjMaxx or OshbGosh/Carters for my baby’s clothes because they often grow out of them super fast. But it’s really hard to find winter clothes for him in these types of stores sometimes, especially since he’s super tall for his age and a little chunky. He’s wearing some 12-18 month clothes already and he’s 8 months now. But the holiday collection has such great varieties and sales if you want to checkout my post which lists a discount code, the featured outfit in the post is all Gymboree wear. I also got some jackets, mittens, and other cold weather accessories that you wouldn’t be able to find at a department store for babies. 4. Safety Gear for the Adventurous Baby! My baby is adventurous as can be, I mean he started crawling at 7 months exactly and is already standing! He is definitely crawling everywhere and teething at the same time so he loves to chew on anything he can get his hands on including tables, coffee tables, dressers, tv monitor stands, anything you can think of really that sits in your house! So we definitely need more baby proofing around the house. 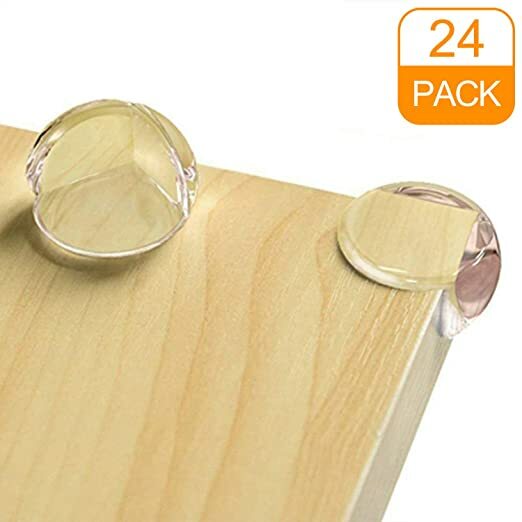 These corner protectors are perfect and come at such a great deal since they’re only $11 for a 24 pack! I wish that there were also edge protectors too for occasions where he wants to really bite on it and bangs his face on the edge because he’s so excited to eat the wood/granite/metal! I love that these are also clear so that it doesn’t totally kill the aesthetic of your home and style decor. I recommend getting these when your baby starts to stand and crawl. Once he/she is strong enough to pull himself up on to things like my 8 month old. You will definitely need these! I also purchased a hidden mini camera – I know I shouldn’t really post it out there so that any of my babysitters know but these are so tiny that they can be hidden very well. One amazing feature about this spy camera is that you can mount it or hide it anywhere. 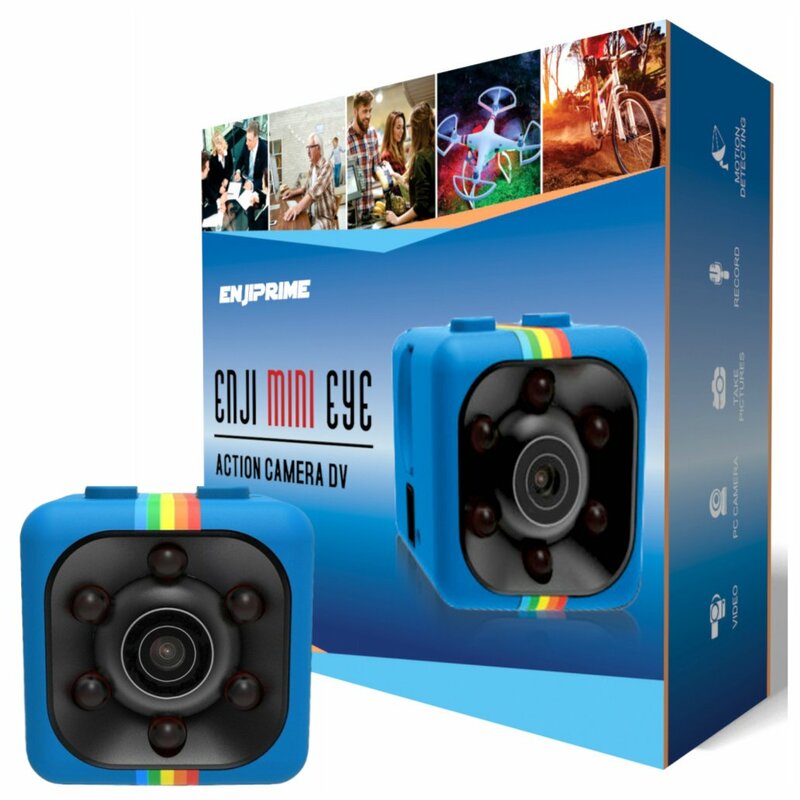 The nanny spy cam doesn’t need WiFi protection because the monitor only connects to one application through your phone using this specific product #’s ID code for only $25 for a limited time. Developing your child’s brain is very easy with these developmental toys. Peek-a-boo helps to develop your baby’s concept of object permanence. Which means that even if you can’t see the object or person they are still there. For example if you cover something with a blanket it’s still there but it’s just hidden. Not only that but playing Peek-a-Boo stimulates baby’s senses, builds gross motor skills, strengthens visual tracking, encourages social development while also inducing high squeals and humor! 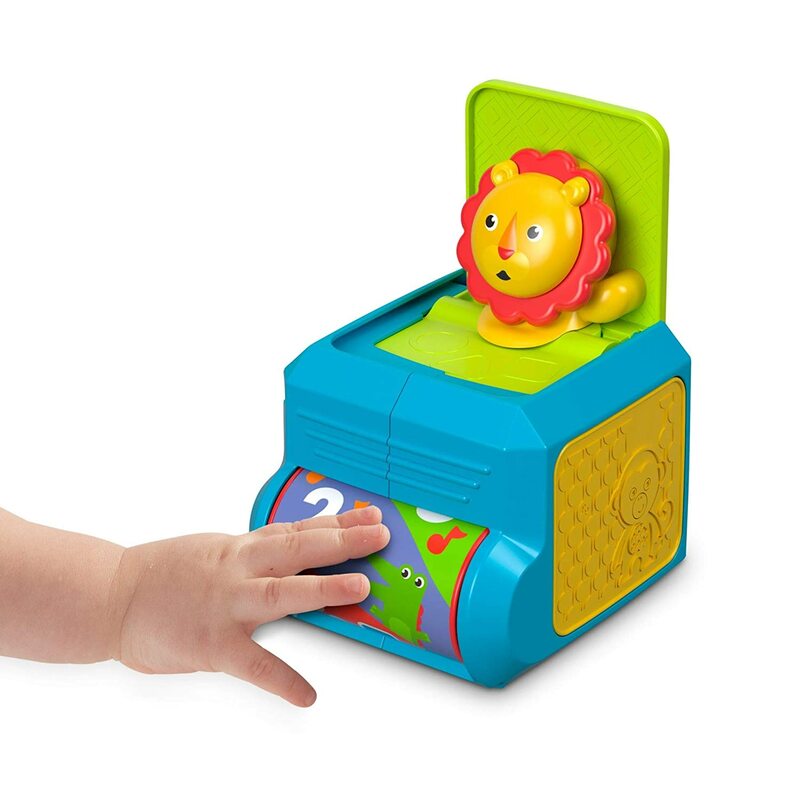 This little toy helps to develop these skills and allows him to use his hands-on motor skills. 6. Something just Plain Fun! So who doesn’t love a phone? Babies especially love phones because they light up, have loud speakers, play music, and all of that good stuff. But babies shouldn’t be exposed to blue light that are emitted from these phones so I ordered a fake baby phone that does all of those things! I know he’ll love it and instead of trying to always take my phone and looking at my phone he’ll have his. This is much safer for him and not a safety hazard. Also, I won’t be worried about damage to my phone if he ever gets to it and chews it all up! I also got him a rocking Giraffe, because what baby doesn’t like a rocking giraffe to sit on and play on once he’s able to walk. These are just fun items that I know my baby would like! To learn more about your child’s developmental skills and specific toys and activities can help them learn checkout what to expect! I hope that you and your baby are having a great winter and let me know what you think about this Christmas list and tell me what’s one thing that you plan to gift to a baby or your child? Have a very merry Christmas and happy holidays! I love that this has come in handy! Teething MUST be a really hard for a kid. I do remember my little cousin’s teething days, he was miserable. Such a great list And amazing suggestions. I know I could only imagine how irritating it must be like having wisdom teeth all over your mouth. All of these are so adorable! 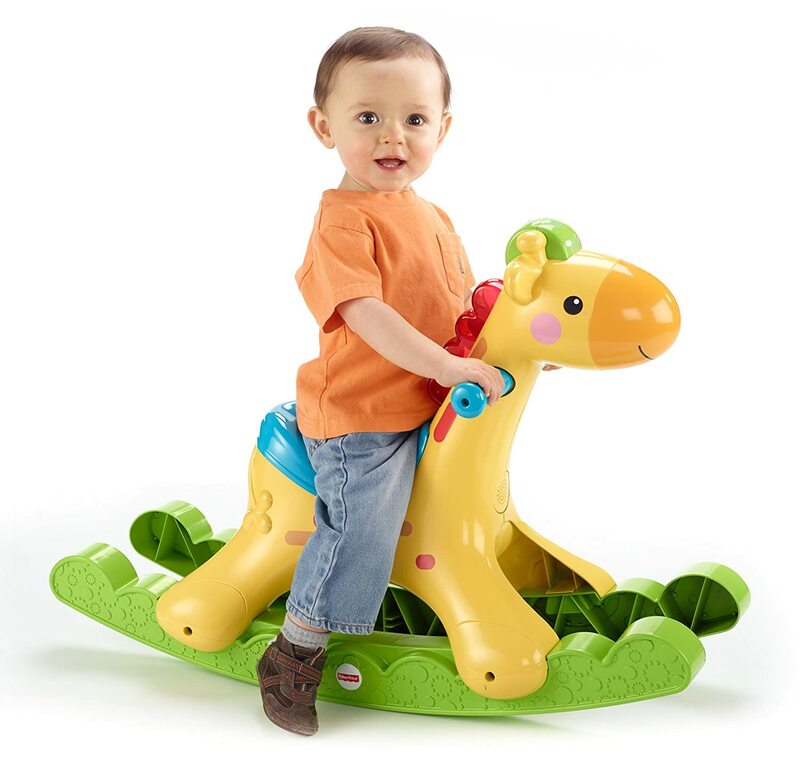 I really love the rocking giraffe, so much cooler than a rocking horse! I would love it and I think my kids would too! Thanks love! I wanted something different! These gifts would be great other than for Christmas. I definitely remember the time my daughter was teething. Definitely finding the right product to ease the pain was challenging. I have a new grandbaby and these are some great gift ideas for her. She is at the age for toys like the keys and the pop up lion. Although I do not have kids I do have a neice and God children To purchase christmas gifts for. This list makes THe shopping trip that much easier. I like that you included gifts for a range of ages from riding horse to teething toys. Great read! What a great list! they have so many fun toys now for babies, I wish they had those when my 13 yeat old was little. They’re always coming out with new and exciting things that really are helpful! Hey thanks! Now I have some great gift ideas for my friends with little ones. Love those corner protectors! Aren’t they great plus there’s 24 for only $11! these are great gift ideas for babies! I am actually having a hard time deciding on what to give my nephews who are just around 1 year old… im gonna check the recommendations you have and will see what to buy for christmas! WHAT A CUTE AND NICE LIST! MERRY CHRISTMAS TO YOU AND YOUR BEAUTIFUL BABY. ALL THE BEST.